The establishment was renovated in 2009. The establishment comprises a total of 322 accommodation units. Guests of the establishment are welcomed in the lobby, which has a 24-hour reception and a 24-hour check-out service. Services such as a cloakroom, a safe and currency exchange facilities make for a comfortable stay. Internet access (for a fee) and wireless internet access are available in the public areas. Gastronomic options include a restaurant, a café and a bar. Shopping facilities are available. A newspaper stand is also among the amenities at the establishment. Guests arriving by car can park their vehicles in the garage or car park. Additional services include room service, a laundry and a hairdressing salon. In addition, a conference room and a business centre are also available. This hotel was built in 1992 and comprises a total of 104 guest rooms, spread across 3 storeys. It has a large car park (offering complimentary parking for customers), which is suitable for cars, buses and even trucks. It is a smart choice for every traveller searching for a budget hotel. 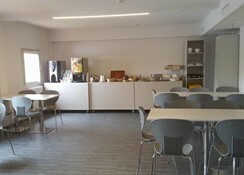 Fully air-conditioned, it features a number of facilities including a lobby with a 24-hour reception and check-out service, as well as a breakfast room and Internet access. The establishment offers a selection of sport and leisure opportunities. The terrace is the perfect place to while away the time. Leisure options at the establishment also include a gym, a sauna and massage treatments. 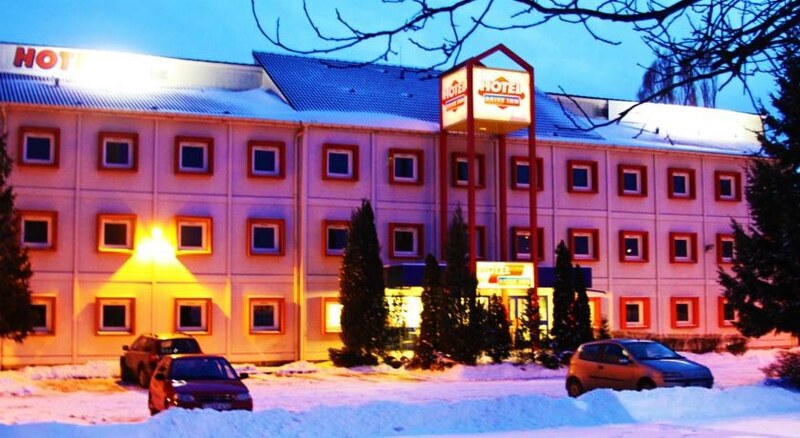 This family-friendly hotel is situated in Törökbálint, close to the M0, M1 and M7 motorways and just 14 km from the centre of Hungary's capital city, Budapest. The hotel's immediate vicinity features restaurants, a park and public transport links, whilst the centre of Budapest is easily accessible from the hotel, via bus number 272. In Budapest, guests will find shops, a train station and tourist sights, including the Royal Castle. Budapest Ferihegy International Airport is 45 km from the hotel. 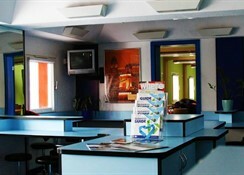 All accommodation units feature air conditioning, central heating and a bathroom. Bathrooms with wheelchair access can also be booked. 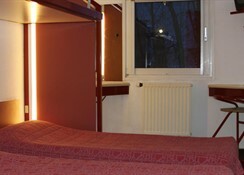 The accommodation units each feature a double bed. A safe and a minibar also feature. 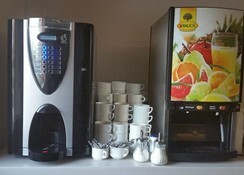 A fridge and tea and coffee making equipment contribute to a comfortable stay. An ironing set is also available to guests. Most rooms are equipped with internet access, a telephone, a TV, a radio and wireless internet access. Wheelchair-accessible accommodation units are also bookable. In the bathrooms, guests will find a shower and a hairdryer. The comfortable rooms can accommodate up to 3 people and feature a private shower and toilet, as well as amenities like satellite TV and individually regulated air conditioning and heating. 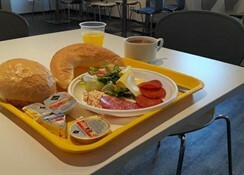 To reach the hotel from Keleti or Deli Railway Station take subway no. 2 to Moszkva ter, from Nyugati Railway Station take tram 4 or 6 to Moszkva ter. At Moszkva ter change to bus no. 10, get off at Szentharomsag ter, Matthias Church. Pass the church and you will see the hotel on your right side. "By Car: From any direction you come find the exit number 14 on motorway M1 and leave towards Törökbálint. Follow the road until the roundabout – signs will say Törökbálint depo. In the roundabout turn into Tó utca (signed) and drive 200 meter until you reach the hotel."